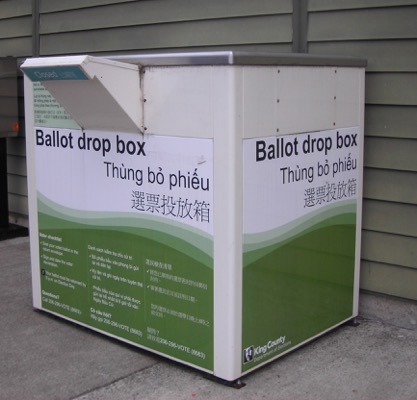 King County Elections is urging voters to return their ballots for the February 12 Special Election as soon as possible due to inclement weather expected across the region on Election Day. The National Weather Service is forecasting another winter storm later this week and into next week. To avoid potential delays with the US Postal Service, voters are strongly advised to mail their ballots as early as possible or to use one of 40 ballot drop boxes open for this election. There is a ballot drop box by LFP City Hall in Town Center 98155. Ballots include pre-paid postage so voters do not need a stamp to return their ballots. Ballots must be postmarked by February 12 or returned to a drop box by 8pm Election Day.